I am German, but it took me 28 years to visit Berlin. I finally did it! I went there for a photowalk earlier this year and stopped here for a while to listen to these street musicians. 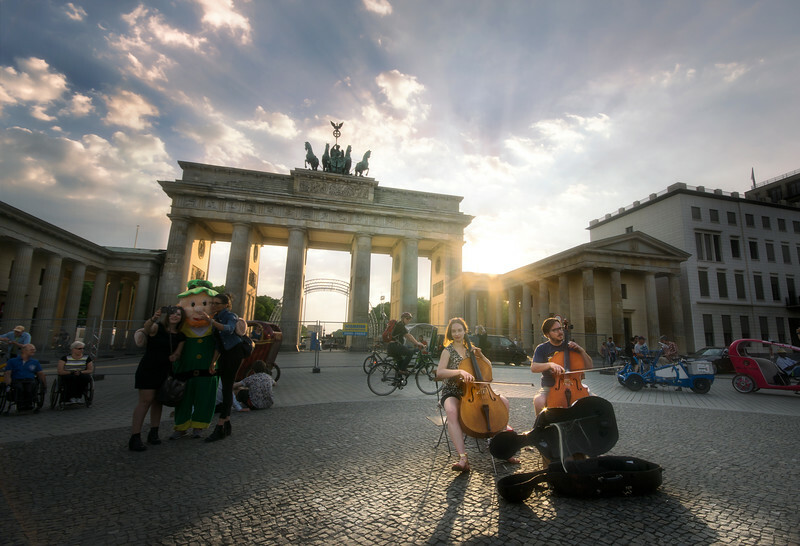 The whole scene was awesome - the sunset, the leprechaun, the music, the Brandenburger Gate... Awesome. After about 20 min I continued to have a beer - it is Germany, after all!